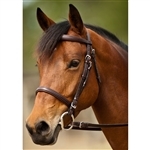 "What a beautiful bridle!" 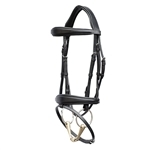 is all we hear about the double raised Gifted Dressage Bridle with sewn in flash. Generously padded brow, crank cavesson, and crown. Beautifully detailed so the cavesson is inlaid atop the padded crown. 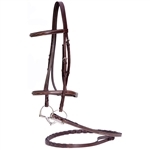 Stainless buckle ends. 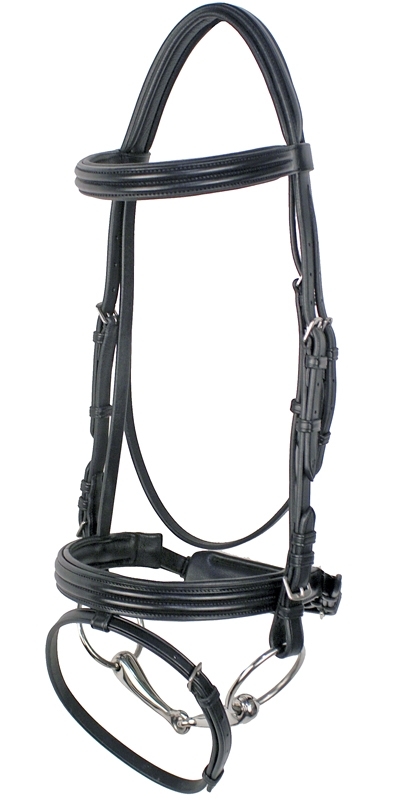 Sold complete with matching 3/4" leather reins with hand stops. 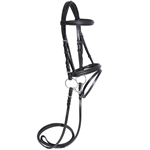 This has been a best-selling dressage bridle. 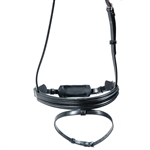 The crank has soft-padding for a comfortable fit. 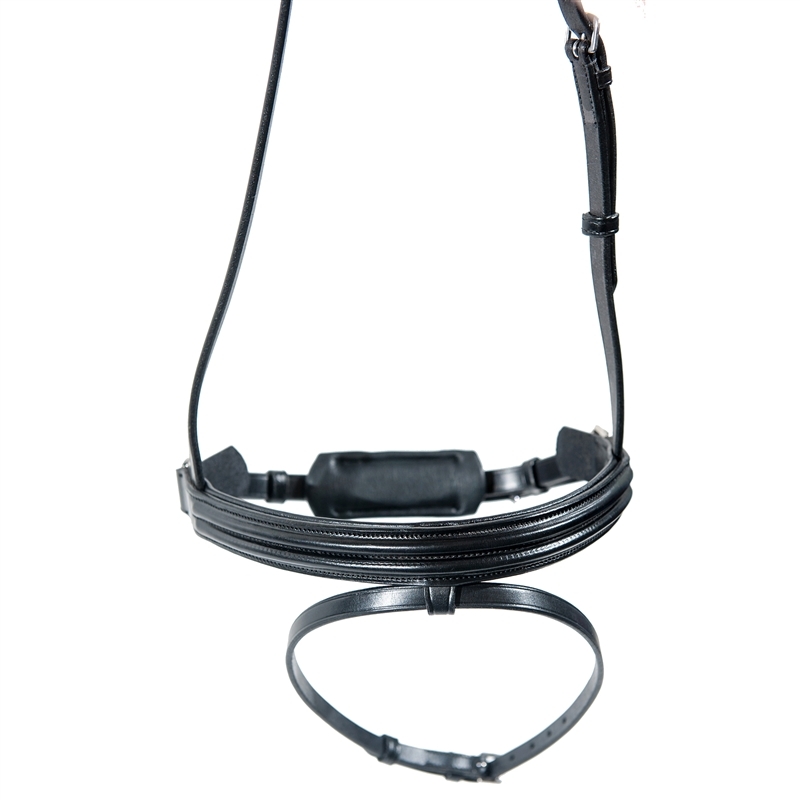 Relieves pressure with padding in senstive areas: over the poll and the crank. Leather improves with age. Not flashy but classy and crafted to last. 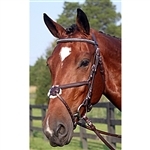 The noseband is more refined so also a great choice for a more refined head.